If you want your business to sustain then you must strive to deliver a great experience to your consumers and the best way to give the consumers what they want from you as a brand is by asking them. 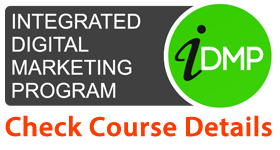 Feedbacks are a huge source of information that can help you retain your brand value. Feedback can help you in decision-making. Whenever you face a dilemma of implementing a new idea or product, the best way to solve it is not by thinking as a business but instead, you should ask your customers to let it decide for you. 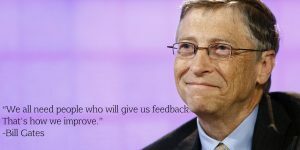 Bill Gates says, “ We all need people who will give us feedback. That’s how we improve.” When people of such stature are saying these things then it definitely carries a great importance. Just like self-improvement, a brand’s image can also improve through regular feedback from its customers. Feedbacks lead to a stronger relation between a brand and the consumer as it gives an insight into what he/she feels about the brand. It helps in making decisions and those decisions can give rise to a new product that may be best suited for the consumer requirement. Product quality increases and an overall trust is gained through feedbacks. 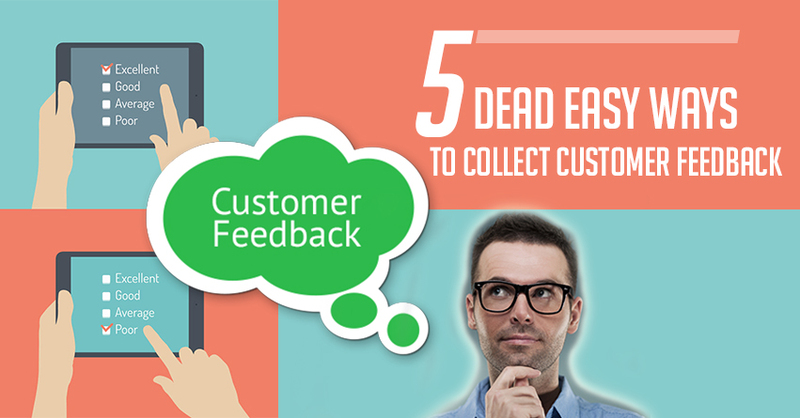 We’ve discussed 5 pretty easy ways of procuring consumer feedback below. Check them out. Online surveys are an inexpensive source of getting feedback from your customers. 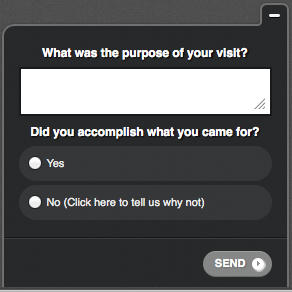 These surveys have an easy to use layout where you can ask direct questions related to your product and services. The user is provided with the question and multiple rating options to choose from. If the questions demands a detailed answer, there’s a provision for it too. 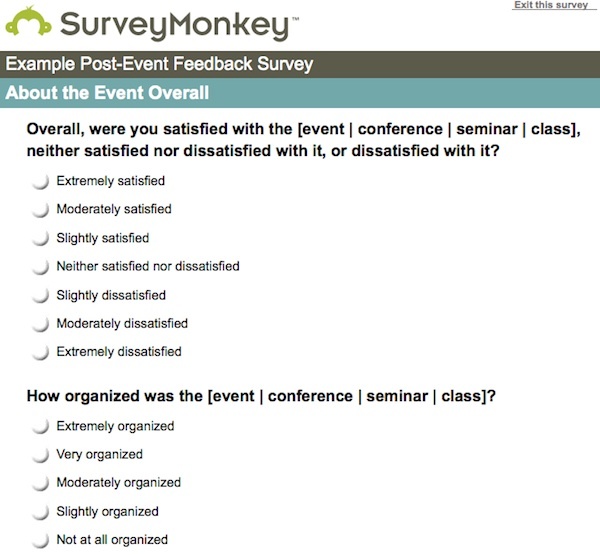 Check out these tools for customer satisfaction survey- SurveyMonkey and Qualaroo. Select a reason for which you are conducting a survey. Set your goals straight. Decide a time to conduct your survey. Re-examine the questions asked in the survey. Image: Snapshot of Qualaroo’s survey. This is another good way for gaining useful insights about your brand from the users. 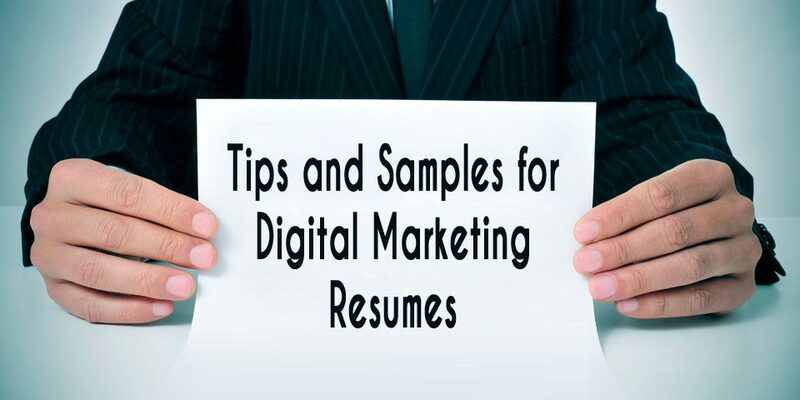 You can conduct the interviews offline or online as per your and the user’s convenience. Interviews with your consumers is not the typical business interview, so better keep away the jargons and try to make them comfortable. Focus on their attitude and how they feel about a problem. Ask them details of incidents when they encountered an issue with your product. Ask them how they generally perform a task with your product. How do they use it? There are many source where you can get to read reviews of your product and service from not only users but experts too. You can make provision for reviews on your social media page, facebook and G+ have dedicated review and rating boxes. Take out the most from the genuine reviews and start addressing the grievances if any. While positive reviews boost your morale and help you in performing a notch higher next time; negative reviews can be a learning experience for you. You will get an idea of how your client perceives you. 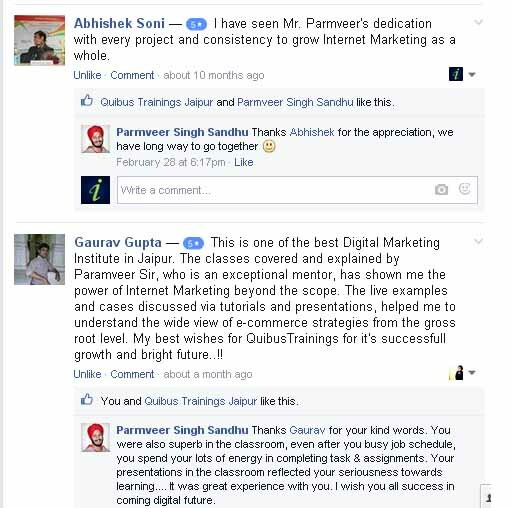 Check out Quibus Training – The Best Digital Marketing Training Institute in Jaipur‘s facebook page review section. Our students have reviewed us positively and that is definitely a source of inspiration for us. 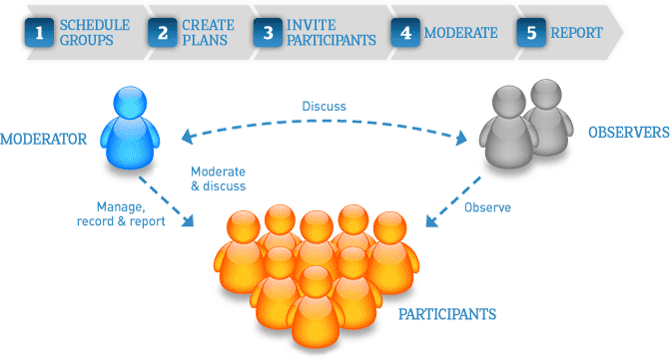 Online focus groups is an online research method. They are just like traditional focus group but on an online platform. Here a group of people is invited to discuss their opinions and perceptions for a brand, product, idea, service and the likes. It is a group discussion where the participants are given some questions and they discuss it with other group members. This is a great feedback tool for marketers as it gives them an idea of how the product or service will be perceived once it comes in the market. Generally such discussions are conducted by a moderator who guides the respondents who in turn receive some kind of incentives in return. Site and customer analytics are a wonderful sources for getting feedbacks. 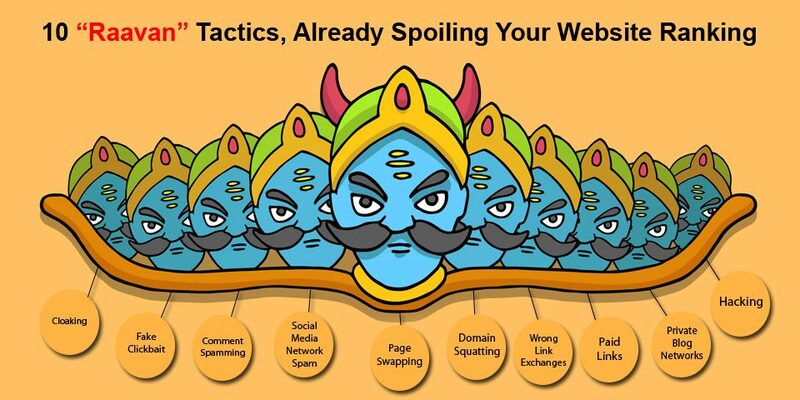 You don’t need to ask anything to your customers, just notice their patterns of how users interact with your website. Analytics can provide you with data but you will have to find useful patterns in it. You can get an idea about which pages of your site have higher traffic and also the pages where bounce rate is higher. This gives you an opportunity to tweak with your presentation and user experience, simply optimize the pages where you find high bounce rate. Step in your customer’s shoes: When you want to get an idea about what customer experience your brand or product provides, the best to way to gauge is by being the customer yourself. Step into the shoes of your users and try to look through their eyes. When you practice this you will be able to recognize what all possible problems they may be facing while using your product. Keeping testing the product/service on yourself and then hand it out to the users. Business men after Stepping in their Customer Shoes. 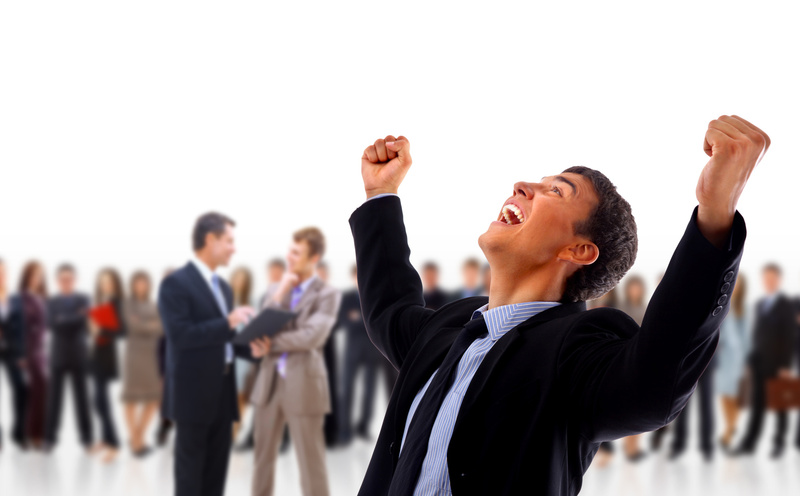 The bottom line is to promote the use of customer feedbacks in your business strategy. This will ensure your business is staying ahead of the competition as you will constantly evolve into a bigger and better entity. Your consumers will value you, even more, when you will incorporate genuine suggestions into your product and services. So the next time you feel dubious about the success of a product or service they don’t solicit feedback from your precious customer base. 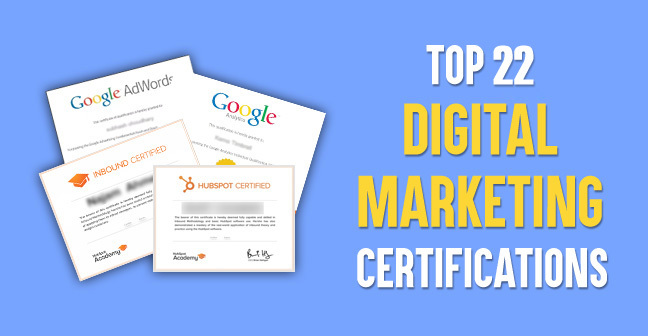 We are pretty sure you will incorporate these techniques very soon for your brand. Share more ideas with us in the comment section below. Your feedback does matter! Excellent article. Customer feedback is important to the successful working of an enterprise. Thanks for sharing this valuable easy tips.